I am currently interested in what makes an asthmatic lung faulty. To be more precise I look at the airway epithelium which is the thin barrier protecting all of us from the nasties in the air we breathe. A key interest of mine is trying to understand how airway epithelial cells from an asthmatic individual are inherently different from a healthy person. I’m also interested in that lovely stuff called mucus and the airway epithelial cells that produce it which are called goblet cells. Asthmatics are known to have more of these goblet cells in their small airways compared to healthy people but no one really knows why. We’ve found that a particular protein that is normally present in low amounts within healthy airways is greatly increased in asthmatics, and when we block it we can stop mucus production. One model of the epithelium that I am blessed to work with is air-liquid interface cell culture. This model allows me to take cells from healthy donors as well as from asthmatics or even people with chronic obstructive pulmonary disease (COPD), and grow them until they turn into all the individual cell types that we all have at the airway barrier. Having this ability to mimic the airway epithelium then allows me to investigate differences between these cells and also allows me to test a range of treatments on these cells. Another interest of mine is a particular developmental pathway that also appears to be malfunctioning within the asthmatic airway epithelium. Working together with Phil Hansbro and Malcolm Starkey, we have found that blocking one avenue of this pathway can lead to a reduction in the amount of mucus being produced. I have a tendency to be way over the top when it comes to understanding how things work, anything from how a black hole forms to how tiny molecules interact. Because of this obsession, I think I was always slated for a research career. I definitely took the scenic route to end up in my current position however, a double-major in Maths/Physics that turned into a Biology major; then from my PhD in reproductive science to my current early-career researcher role in asthma. I am extremely fortunate to now be pursuing what I see as an ideal research goal and something that will undoubtedly improve the lives of all people with chronic mucus production. My first major end-point of one arm of my research would be to eliminate the excess production of mucus in people suffering from asthma or COPD. I feel that that achieving this goal would improve the lives of millions of people all over the world, particularly kids with asthma. The ultimate goal is the restoration of a normal airway epithelium to individuals with asthma. Dr Reid’s overarching aim is to understand which signalling pathways are altered within the epithelium of asthmatics to allow for the development of novel treatments to combat mucin overproduction. He has recently begun investigating two main regulatory pathways involved in goblet cell differentiation and mucin production. The first is the Notch signalling pathway which is well documented as a key regulator of cilliated vs goblet cell differentiation. The second is the Wnt/β-catenin pathway which preliminary evidence suggests plays a role in regulating mucin production at the epithelium of mouse airways. Dr Reid’s laboratory, headed by Prof. Darryl Knight, has developed a robust and finely tuned method for the culture of primary bronchial epithelial cells under air-liquid interface, which produces a lawn of cells containing basal, cilliated and goblet cell phenotypes. Dr Reid routinely performs a range of studies utilising cells donated by non-asthmatic and asthmatic individuals as well as patients suffering from chronic obstructive pulmonary disease (COPD). I am in a unique position to make a considerable difference to the lives of people suffering from chronic airways disease. More than 37% of children in Australia have suffered from asthma symptoms before the age of 13 and most, if not all, of these cases exhibit an increased level of mucus in their airways. By following this research arm through to its conclusion, we aim to develop new drugs that can then prevent this increased level of mucus production and mucus accumulation. This will undoubtedly make a dramatic impact and restore some normality to the lives of these kids, as well as others with heightened mucus accumulation in the future. In vivo models, including retrograde transfusion of epididymal spermatozoa. Dr Reid has also helped developed a number of experimental protocols that are highly utilised within his, and other laboratory groups within the HMRI. 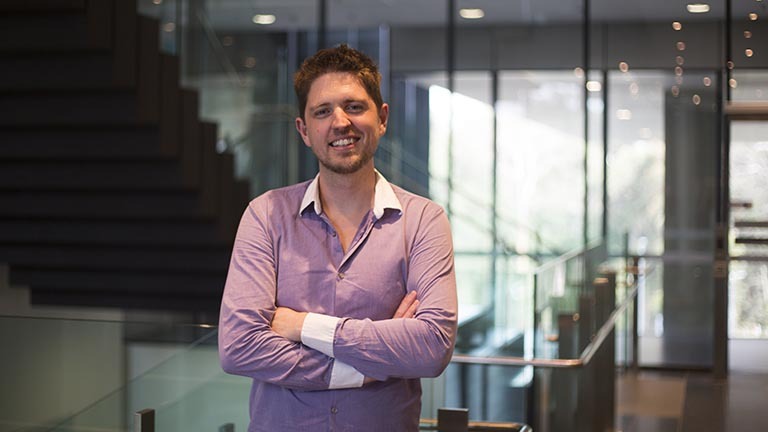 Dr Reid has demonstrated for a number of laboratory and tutorial courses at UoN and has a vast experience in mentoring PhD, honours and summer scholarship students.